"Freedom Of Choice - To Create The Life You Envision"
We are a dedicated team of professionals focused on providing goal-based investment and wealth management solutions for business owners and self-employed professionals. We are a team based on demonstrated experience. For over 20 years, our team has worked alongside each other to provide investment and wealth management support to help clients achieve their goals. Our objective is to build relationships with our clients that will last a lifetime. We understand the needs of business owners and self-employed professionals. We know that business owners and self-employed professionals have unique needs and we have a track record of employing successful investment and wealth management strategies to serve these unique needs. We understand the hard work that has been put into building a business, the ongoing risks associated with running a business, the complexities of growing a business and the eventual need for succession planning. With these complex requirements in mind, we are backed by the full resources of TD Bank Group to help craft the right plan for our clients. We act as your advocate. The investment landscape is ever-changing and full of complexity, choice and confusion. We are like your personal Chief Financial Officer (CFO) making it easier to focus on the most important issues, so that you can achieve your wealth goals. We believe that a relationship built on trust is paramount. Much of the personal satisfaction we gain from our work comes when we empower our clients with a plan to assist in achieving their financial security. We have developed a loyal base of clients who tell us that they value the advice and knowledge of our team, but most importantly, feel a strong sense of trust that gives them the confidence to allow us to manage their financial affairs so that they can focus on other aspects of life. 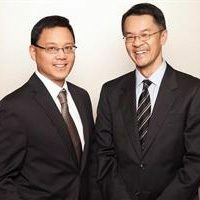 The Russell Anthony Wealth Management Group is part of TD Wealth Private Investment Advice, a division of TD Waterhouse Canada Inc. which is a subsidiary of The Toronto-Dominion Bank. All trade-marks are the property of their respective owners. ® The TD logo and other trade-marks are the property of The Toronto-Dominion Bank. Please note, for your security I cannot act on any instructions received by email. If instructions are received via email, I will contact you to authenticate the transaction and your identity, which could cause delays. A leading professional with over 25 years of financial services experience, Russell not only provides discretionary investment solutions to his clients, but also quarterbacks the planning and execution of their integrated wealth plans. Russell also draws on his tax planning background from his time spent working at a top-tier, international accounting firm. Russell is a B.Comm graduate from the University of British Columbia and holds the CPA, CFP®, and CIM® designations. He is a Fellow of the Canadian Securities Institute (FCSI®) and has a Certified International Wealth Manager (CIWM) designation, the highest designation for Integrated Wealth Management Planning from the Canadian Securities Institute. Russell is also a life licensed advisor with TD Wealth Insurance Services. Outside of work, Russell enjoys playing ball hockey and music with his band and enjoys travelling with his wife and daughter. Anthony brings over 25 years of experience in the financial services industry. As a Wealth Advisor focused on goal-based planning, Anthony believes that strong client relationships are paramount to his team’s success. He focuses on building customized solutions tailored to each individual’s unique needs, serving successful professionals. Anthony has a Bachelor of Arts from Simon Fraser University and is a life licensed advisor with TD Wealth Insurance Services. When not at the office, Anthony is an avid cyclist and enjoys his leisure time with his wife and four children. Bodhi joined the group in 2013 and focuses on providing her clients with exemplary client service and administrative support. She brings 18 years of experience in the financial industry to the Russell Anthony Wealth Management Group, previously working as a Sales Assistant at a major Canadian investment Firm. Her credentials also include completion of the Business Finance and Investment Management Program at Langara College in Vancouver. Bodhi grew up in Vancouver and enjoys travelling, discovering new restaurants and staying active. When not at work, she relishes her family time with her husband and son. Angela has been with the team since 2014 and provides high level of service and administrative support to her clients. Angela has worked in the financial industry for over 15 years previously working at two leading Canadian investment firms, prior to joining the team. Angela was born in Hong Kong and moved to Vancouver in 1989. She enjoys fitness and yoga, and also loves good food. In her spare time she loves taking long walks with her husband, watching movies and spending quality time with good friends. Angela is also fluent in Cantonese. May joined the Russell Anthony Wealth Management Group in 2018 providing client service and administrative support to our clients and the team. 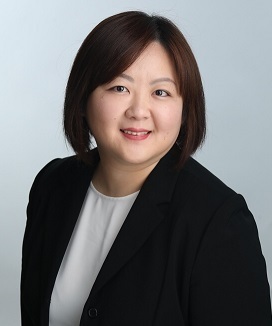 After graduating from Simon Fraser University, she has worked in different roles at two well-known Canadian investment management companies for 13 years. May was born in Taiwan and came to Vancouver in 1996. She is fluent in Mandarin. When not in the office, she enjoys the company of friends with good food and wine. In the wintertime, she also loves hitting the slopes to enjoy fresh powder snow.